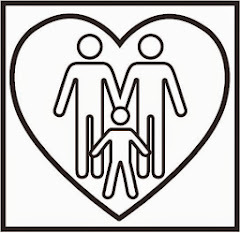 This is a blog site dedicated to issues concerning LGBTQ parents and our children, and LGBTQ children in our families, touching on issues of family, faith, and the culture in which we live. Let's Do a Pilgrimage Retreat! Have you and your church leaders had a hard time thinking about what you want your next Session retreat, men's or women's retreat, all church retreat, or youth group gathering to focus on, and are wanting something new, different, outside the box and experiential, and yet of the Church? Consider a Pilgrimage Retreat, an ancient practice for current times. For the last twenty-years I have been on and led pilgrimage around the world with small and large groups - providing workshops on living an everyday pilgrimage life, for all-church events, Session retreats, men's or women's groups gatherings, youth retreats, and mission trips shaped as pilgrimage. I have worked with churches and other faith organizations in Oregon, around the country and abroad. Along with leading workshops, retreats and actual pilgrimages, I've also published three books on pilgrimage that I use for these sessions, the latest being Practicing Pilgrimage (Wipf and Stock, 2016), and have many articles published on this theme in both popular and church-related publications. So, as you are thinking about a creative and out of the "box" experience for your church's next retreat, please consider a pilgrimage-focused theme and explore what it means to follow Jesus on our everyday pilgrimage lives in this contemporary world. Feel free to contact me, Brett Webb-Mitchell, brettwebbmitchell@gmail.com; or 919-444-9111. Fee scale is sliding, so let’s talk about you and your church, and go on a pilgrimage! So, since I last joined this blog, much has happened. 1. I am no longer the only out gay Presbyterian pastor in a pulpit in OR. I left St. Andrew's on April 30, 2017. 3. I am starting a new church of Presbyterians. It is either going to be called Community of Pilgrims/the Pilgrim, or Church of Pilgrims/the Pilgrim. Here's my youtube.com clip for Practicing Pilgrimage. Remember: this pilgrimage "thing" is the way I understood and understand the process of "coming out" of my or one's LGBT or Q closet: it is a process, a way of moving out of the confining closet of living as a closeted gay man, to living out free from these self-imposed and culture-imposed confines. In this book I explore both pilgrimage as a intense, actual event, say to a place like Santiago de Compestela, or in your backyard, rural fields, or urban setting, in which we live out our ordinary lives in extraordinary fashion. I also cover how "coming out" of one's gay/LGBTQ closet is a pilgrimage of sorts, in which we are always coming out. So click on the link, and buy a copy! I'm off this Sunday for India and Nepal for pilgrimage. It is time for me to go on pilgrimage. The life of the openly gay Presbyterian pastor in Oregon needs some time to walk, reflect, think, and ruminate about life. It is also time to learn. This is my continuing education. I am fascinated by the issues surrounding the universal nature of the Christ figure. What better way to explore it than going to India among my Hindu sisters and brothers, and Nepal and Buddhists. These words from Ps. 139 are my touchstone as I came out of the gay closet I lived in for forty years and realized that our Creator made each of us: male, female and non-binary identity, lesbian, gay, bisexual, transgender, queer, and intersex, and it was good. Nowhere in this Psalm or any Scripture do we read or hear that God didn’t make us as we are. As one popular poster in the 1960s boasted proudly, “God don’t make junk.” The Creator created us just as the Creator wanted us to be in this world. This positive message of Holy Scripture has been conveniently forgotten by many in our faith community who promote the misconception that an individual can change one’s sexual orientation or gender identity through what was erroneously titled “reparative” or “conversion” therapy, which implies my being gay, or another person being lesbian, bisexual, transgender, or non-binary, was a mistake by God, and thus human beings needed to “repair” we who were created by the Creator. The research on such efforts has disproven their efficacy, and also has indicated that a person who is a client for one who practices reparative therapy may be harmed for life. How is one harmed? In this supposedly “therapeutic” approach, the LGBTQ person is filled with the societal prejudice and family rejection that many of us experienced earlier in life. Indeed, the very architect of reparative therapy, psychiatrist L. Spitzer has since denounced this very practiced and has apologized for endorsing the practice. Happy General Assembly and Happy Pride! There was a convergence today in my life that I never ever expected: when my being a Presbyterian met my being a gay man, and both are living relatively (yet still some times awkwardly) together. It doesn't happen often in life when we take two parts of who we are, which were, for a long time, at odds with one another, and bring them together and find peace. For years, I feared that my ordination, my "The Rev." would be revoked because I would be outed as a gay man, and censured or de-frocked for writing such publications as "On Being a Gay Parent." I was told by my former Presbyter Exec. that I should stay away from plate glass windows in my home and not be seen holding my partner's hand or kiss him in my home or on the streets of Chapel Hill, Durham, or Raleigh. Today, I walked around the halls of the General Assembly and didn't care who knew that I was gay. I was a ministered, called to be an interim pastor at St. Andrew's Presbyterian Church, and by being gay was not going to take that honor of serving the people here away.